Our South East London handyman service is just what you need for your home or office! 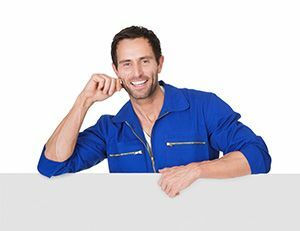 When it comes to South East London professional handymen you won’t be able to find a company that’s more reliable, more efficient or more affordable than Handyman Services Handymen. At our company we only work with experienced handymen to ensure that you’re always getting the most amazing level of service imaginable. There are a great many things that we can help you with in your home or office including: home repairs, home refurbishment, electrical services, plumbing services and emergency repairs. Are you in need of immediate help? Our same day handyman service is the fantastic and reliable same-day service that can give you help and assistance in just a matter of hours! When things break down in your home or office then there’s no need to panic – just pick up the phone and call 020 8610 9016 and you won’t have to worry! Our experienced and friendly professionals are just waiting to hear from you, and we can help you with anything from your broken washing machine to furniture assembly! Give us a call right now to find out more about our great services and prices! There are approximately 1.3 million people living in South East London today, and the area is comprised of the boroughs of Bexley, Greenwich, Bromley, Lewisham and Southwark. There are some fantastic places to visit and sites to see if you’re in the area of South East London. The London Eye is a popular choice for tourists and residents alike, whilst a visit to the Imperial War Museum is a fascinating look into the history of war in Britain and in the rest of the world. Similarly, the Royal Museums Greenwich also see a lot of traffic thanks to their excellent displays and interesting exhibitions. One of the most wonderful places to visit in South East London is the restored Shakespeare’s Globe, and the world-famous Tate Modern can also be found in the area. South East London is a hub of activity and there are plenty of things to be found that shouldn’t be missed! Hiring a team of professional handymen is quick and easy with our company. Appliance repairs, painting and decorating and home renovation are just some of the things our experienced staff specialise in, but did you know that we can also help you in your office as well? Our office maintenance and office repairs teams are more than well-equipped and rehearsed in office renovations and upkeep, and no matter what you need, our staff will be able to help! 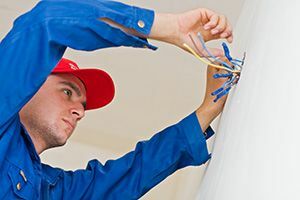 Handyman Services Handymen is the first choice for maintenance in South East London, and you won’t be able to find better value for money anywhere else in the area! We like to keep our prices both affordable and competitive, and even if you’re on a budget you’ll be able to find what you need with us! With our years of experience and with our fantastic range of services, we can suit and meet every need of yours without you needing to worry or panic. All you need to do is pick up the phone today and speak to one of our team members. We’ll be able to help you out with over-the-phone price quotes and as much information as you might need! You won’t regret hiring your handymen and repairs specialists from our company, so why not give us a call today on 020 8610 9016?